The Custard TV: Educating The Greater Manchester: Everyone deserves a second chance. 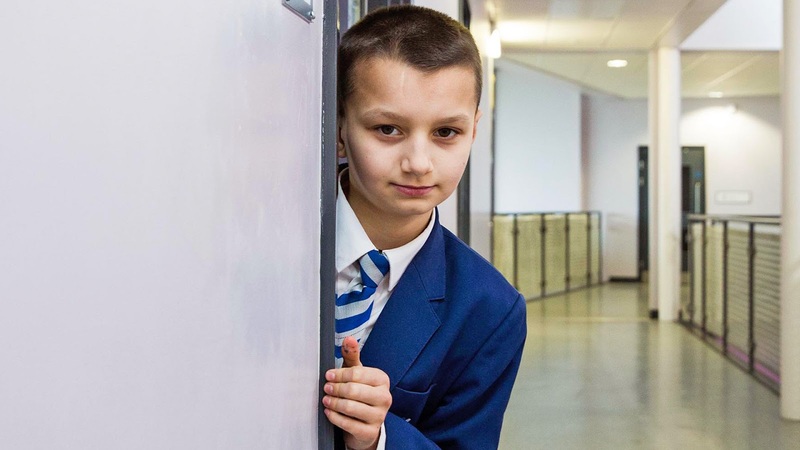 Educating The Greater Manchester: Everyone deserves a second chance. If there is one thing that the Harrop Fold team believes in, it’s second chances. Last night's Educating Greater Manchester put the spotlight on two badly behaved students and the teachers that refused to give up on them. We watched expectantly as the school’s behaviour team struggled once again to challenge students’ behaviour and were met with yet more success stories. 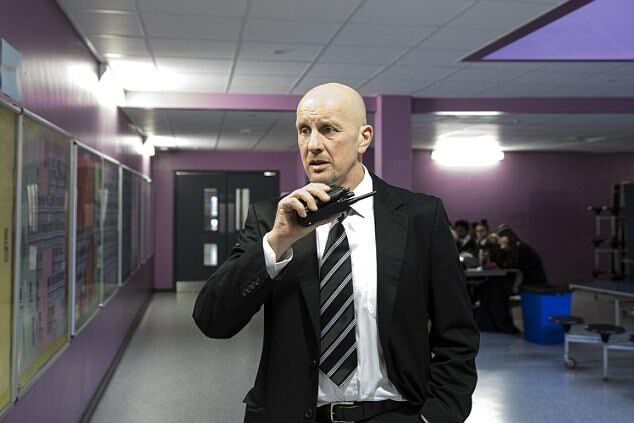 The episode begins with Headteacher Mr Povey and head of behaviour Mr Chambers looking to track down a group of boys caught smoking weed in the school toilets. This is where we are first introduced to baby-faced Year 8 pupil Kayden, named by each of the suspects as the main perpetrator. But Kayden has an answer for everything and a set of very elaborate stories to match. However, he is known to the behaviour team and they are often able to see through his tall tales and doe-eyed looks. With a belief that the world is against him and a cheeky attitude, Kayden struggles to control his behaviour, with even his own sister, Year 11 Shannon beginning to abandon hope. Like the behavioural team, she cares about him and his education, but is fed up with his behaviour. Nonetheless, Mr Chambers encourages us to see the other side to Kayden, which is a caring and emotional young boy. Although, despite his numerous warnings from the school, Kayden continues to misbehave, forcing Mr Chambers to take a less delicate approach after Kayden is involved in a startling four incidents in one day. Another pupil known to the behaviour team is Year 9 Vincent. Described as challenging and attention-seeking by Mr Povey, Vincent is an uncontrollable force of energy whose behaviour is particularly trying not just on the staff but the audience too. However, once again, Harrop Fold’s behavioural team persuades us to look beyond Vincent’s tireless outbursts and forces us to see his most likeable characteristics. In an attempt to combat his behaviour and give him a sense of focus, Mr Povey suggests that Vincent joins the student council, in the hope that his boundless amounts of energy could be put to better use. And while other teachers are sceptical, Mr Povey maintains his belief in Vincent’s ability to become a more productive member of the student body in a touching investment of faith. Surprisingly, Vincent has a number of terrific ideas for the student council, even attempting to rally support with the help of Mr Chambers’ megaphone. He is outright and honest in his interviews both with the show and for the student council about his behaviour, accepting his wrongdoing and making no attempts to hide from it, showing a more insightful side to him. However, while both Vincent and Kayden’s behaviour is seemingly pointless in nature, with nothing to be achieved from it other than negative attention and trouble, Year 11 Kim’s behaviour is seen as a direct result of her problems at home. At the time of filming, Kim’s older brother Matthew was due to go to court to be sentenced for a drugs-related offence. We see that this had a direct result on Kim’s behaviour, causing her to act out in lessons and lash out at both teachers and other pupils. As a result, we have a great deal more empathy for her than the boys, as we hear her talking about how she was incredibly close to her brother and is experiencing a great deal of stress at home due to the uncertainty of his sentence. A particularly heart-breaking scene shows her crying and shaking excessively in the student support office, prompting us to think about what may be going on behind closed doors for other misbehaving children, as she herself says that she feels people judge her behaviour without knowing her circumstances. Perhaps what is most touching about her story, however, is the support that she receives from teachers and staff, proving to us that the school extends its concern for its students beyond what goes on in the classroom. The episode itself is remarkably honest, as although the main focus is on change, there is an underlying theme of the impact of drugs in Salford, both with Kayden’s behaviour and the sentencing of Kim’s brother. And while the series could have attempted to shy away from this, they chose to present an honest portrayal of the modern-day struggles that young people face, proving that once again, Educating Greater Manchester has hit the nail on the head. And while each of the children has a shaky journey to change, they all show a positive improvement thanks to the efforts of the behaviour team. But perhaps what is most interesting, is that a different approach is applied to each child. While Kim needs sympathy and support, Vincent is given initiative and Kayden gets some tough love after several warnings. 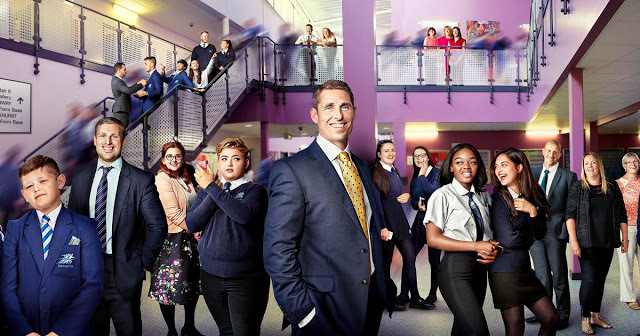 This in itself is a credit to the school’s commitment to its students, choosing to treat them all as individuals with individual needs, rather than a blanket set of consequences.